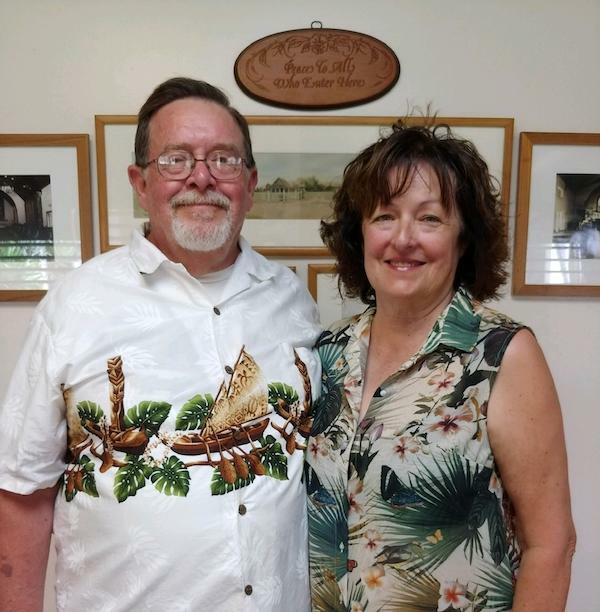 "A Good Follower of Jesus Christ"
It was with great delight that Susan and I received the invitation to return to Kaua`i to serve at All Saints’. 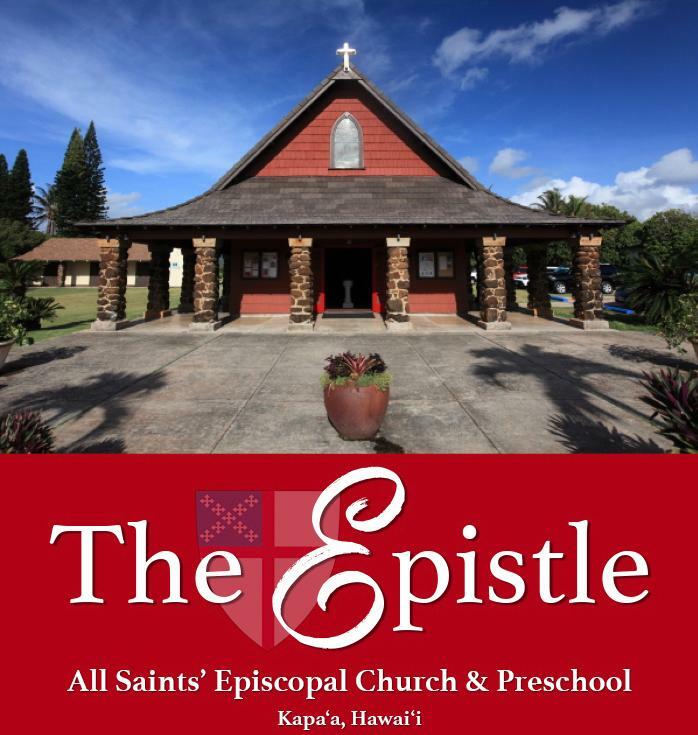 Last July and August we served at St. John’s and St. Paul’s in the Episcopal Church of West Kaua`i and loved it. So when David Murray contacted us about doing supply at All Saints’, we jumped at the chance to come. This island is beautiful, and we have found the Churches to be warm and welcoming. I retired from active parish ministry in 2016. My last assignment was as Priest-in–Charge at St. Paul’s in Oroville, California. This is in the Diocese of Northern California. Oroville is about 60 miles north of Sacramento and tucked up against the foothills of the Sierra Nevada Mountains. Now I do occasional supply work in the Diocese, serve on the Diocesan Commission on Ministry, and Susan and I are both active in the Cursillo Ministry in the Diocese. Susan volunteers as an Ombudsman for elderly patients in Assisted Care Facilities. I was involved in active parish ministry for 40 years, first as an Evangelical Pastor and then as an Episcopal Priest. For about half of that time I was bi-vocational, working at secular jobs; thus, I am a Shoe Repairman, Carpenter, Plumber, and a Social Worker as well as a Clergyman. God has blessed me with a full life. Since retirement I have taken up hobby farming – raising American Guinea Hogs, Barbados Black Belly Sheep, chickens, ducks, and goats. Recently I have started growing wine grapes and exploring wine making. I love playing music, hiking and backpacking, cooking and above all reading. ﻿But what keeps us really busy is our four daughters and eight grandchildren (three of which you will get to meet this week). I am blessed by God in so many ways. My one desire is to be a good follower of Jesus Christ. I love being a priest, and am grateful for the opportunity to serve at All Saints’. 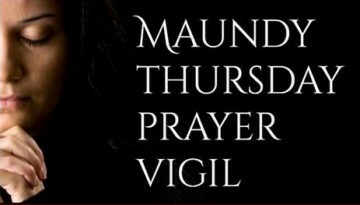 The Maundy Thursday Vigil will be on April 18 th starting at 7:30PM and ending Friday morning, April 19 th at 11:00AM. Sign-up sheets for the Vigil will be available in front of the Church. We ask that at least one person be in the church at all times and members stay for at least 1 hour. This special vigil is for remembrance and reflection of Jesus’ time of prayer in the Garden of Gethsemane before his arrest and crucifixion. You may use the various books in the pews to pray or bring a quiet activity for you to do during your time. You can download a copy of the Order Form by clicking on the link below or you can pick up a form at church. Scenes from lasts year's Palm Sunday celebration. 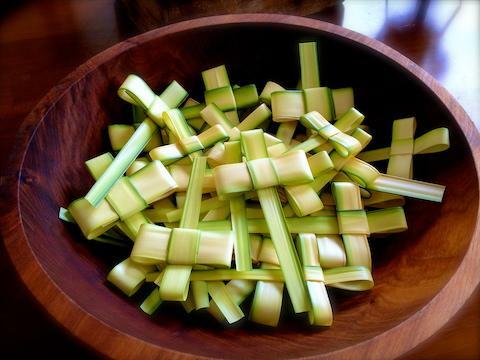 With this Sunday being Palm Sunday our Aloha Hour refreshments will have a theme - palms! 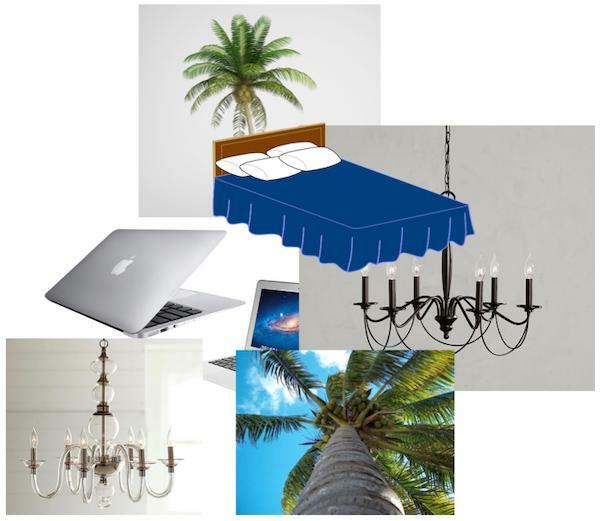 Date palms, coconut palms, acai palms, hearts of palm, palm sugar, etc. Or absolutely ANYTHING involving coconut! Shrimp, rice, chicken, soup, macaroons, cream pie, haupia, cookies. Whatever! When the Palm Sunday service includes the Eucharist, the Liturgy of the Palms is followed by the salutation and the collect of the day. Afterward, the tone of the service shifts noticeably. In contrast to the earlier song of joy, Psalm 31, appointed for today, cries, “For I have heard the whispering of the crowd; fear is all around; they put their heads together against me; they plot to take my life.” The Gospel reading is likewise sorrowful, recalling the events of Jesus’ Passion (that is, the events and suffering before and during his death). Still, we are reminded throughout the difficult days ahead that this is not the end of the story. Despite the Savior’s death on the cross, he promises to rise again. The Man of Sorrows remains the one at whose name, “every knee should bend, in heaven and on earth and under the earth, [and] every tongue should confess that Jesus Christ is Lord, to the glory of God the Father” (Philippians 2:10-11). Almighty and everliving God, in your tender love for the human race you sent your Son our Savior Jesus Christ to take upon him our nature, and to suffer death upon the cross, giving us the example of his great humility: Mercifully grant that we may walk in the way of his suffering, and also share in his resurrection; through Jesus Christ our Lord, who lives and reigns with you and the Holy Spirit, one God, for ever and ever. Amen (Book of Common Prayer, p. 219). © 2019 The Domestic and Foreign Missionary Society of the Protestant Episcopal Church in the United States of America. All rights reserved. 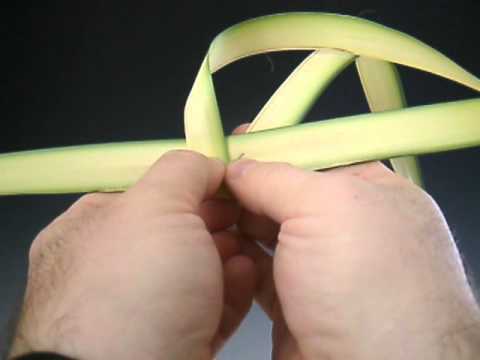 On Saturday, April 13 th , we will be preparing palm crosses for Palm Sunday at the Sloggett Center starting at 8:30AM. Many hands make light work! Please join us if you are able. 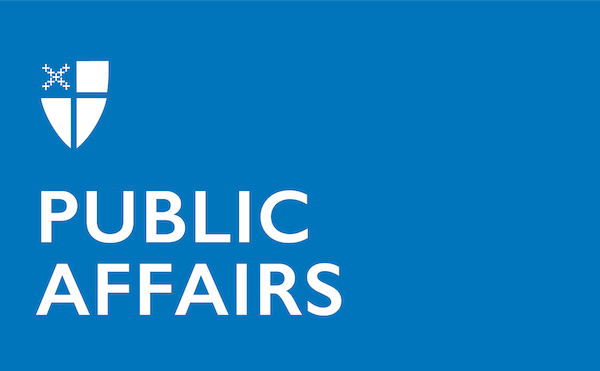 On Saturday April 27, 2019 at 8:30AM an information exchange will be held in Memorial Hall organized by the Agency on Elderly Affairs. They will be speaking about all the services they provide (many of them free of charge) for our kupuna. 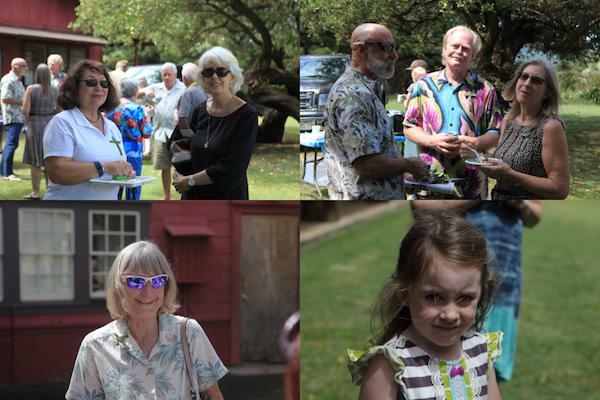 Notable services include Grandparent counseling, Adult Day Care Services, Kupuna Care Transportation, Legal Assistance, Nutrition Services, Fitness Classes, and Meals on Wheels food home deliveries in partnership with Kaua`i Economic Opportunity. Everyone is invited and we encourage kupuna and families who want to learn more about these services to attend. 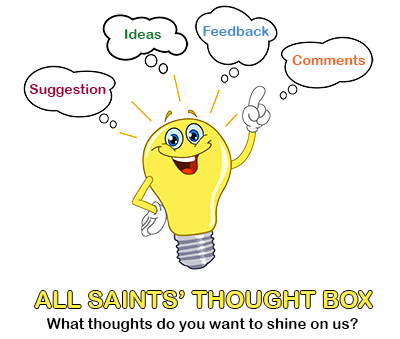 "Ask and It Will Be Given to You"
Your Epistle will continue to publish the All Saints’ Wish List. As needs are identified, they will be publicized. If you have any items to add to the Wish List, please contact Bill Caldwell . O God, whose blessed Son made himself known to his disciples in the breaking of bread: Open the eyes of our faith that we may behold him in all his redeeming work; who lives and reigns with you, in the unity of the Holy Spirit, one God, now and forever. Amen. Please join us on Saturday, April 13 th , as we celebrate the life of Jonathan Ibanez. Visitations at the Church begin at 9:00AM with Service at 10:00AM. Scholarships for young women graduates of high schools and for a woman returning to the work force and planning to attend KCC. The window frames in the living and tv rooms in the rectory were in need of repair. It was a major job as all of the windows had severe cases of wood rot. Our need was apparent. Upon request, Mr. Brian Lankford agreed to do the repair work and did a great job. After discussion, we agreed with Brian that the wood from the unfinished deck behind the Rectory, which had minimal value to All Saints’, would be very good compensation for his time and expertise. With this agreement, All Saints’ saved a lot of money and cleared up the garden behind the rectory at the same time! Brian will be able to put the lumber to very good use so this truly is a WIN-WIN. That $15,000 may not seem like a lot, but with the help of a New York-based charity called RIP Medical Debt , Emmanuel Memorial leveraged the surplus to help wipe away unpaid doctors’ bills for 3,617 cash-strapped households across the Diocese of Springfield. She wasn’t able to say how the congregation first learned about RIP Medical Debt, but the seeds of this outreach were planted 100 years ago, when the church was built from a design by Ralph Adams Cram , the renowned Episcopal church architect who died in 1942. Cram churches are more common in the Northeast than the Midwest, Maynard said, so the congregation, with about 200 member households, takes special pride in its historic building. Therefore, they had no problem raising $150,000 for a capital campaign in 2017 and 2018 to celebrate the church’s centennial. Most of that money went toward minor building repairs and new signs, and the congregation set aside some of the proceeds for the local charities C-U at Home , a homelessness ministry, and Empty Tomb , which connects volunteers with families in need. 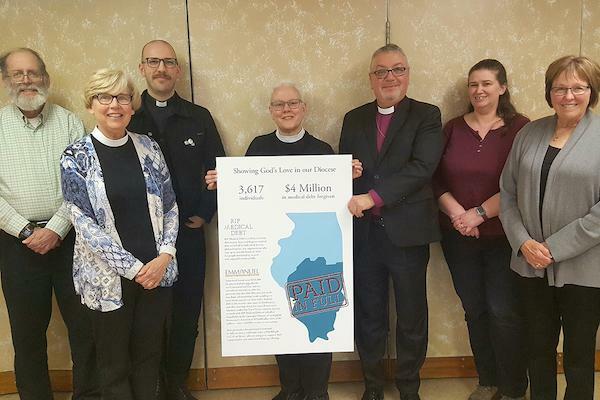 The charity quickly identified 201 individual debt accounts in the county and still had plenty of money left over, so the congregation expanded its geographic target to include the whole Diocese of Springfield . 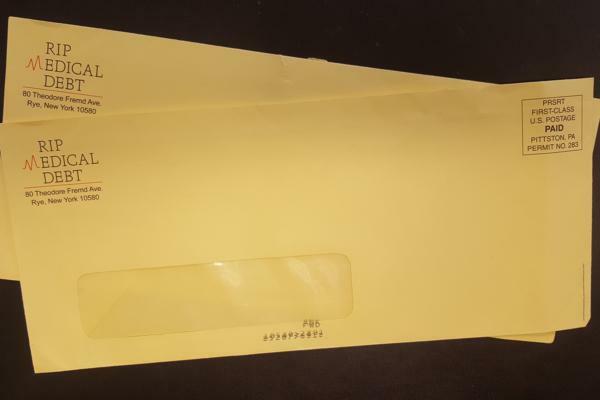 By the time Emmanuel Memorial’s donation was exhausted, RIP Medical Debt had purchased $4 million worth of medical debt, and it prepared to fill its bright yellow envelopes with the good news. Springfield Bishop Dan Martins was at Emmanuel Memorial on March 31 st for a previously scheduled visit, and he, too, praised the congregation’s work for residents across the diocese. – David Paulsen is an editor and reporter for the Episcopal News Service. He can be reached at dpaulsen@episcopalchurch.org . Artists rendering of the new All Saints' pipe organ. When All Saints’ Church decided to improve the music program with a larger organ, it was determined that the most cost-effective way to do so was to acquire a used organ that could be used in-whole or in-part to provide a basis upon which to enlarge the All Saints’ organ. Through diligent searching and utilizing contacts in the pipe organ industry, I located a Schlicker organ built in 1986 that was for sale by the Church of the Nativity (Catholic) in Timonium, Maryland. 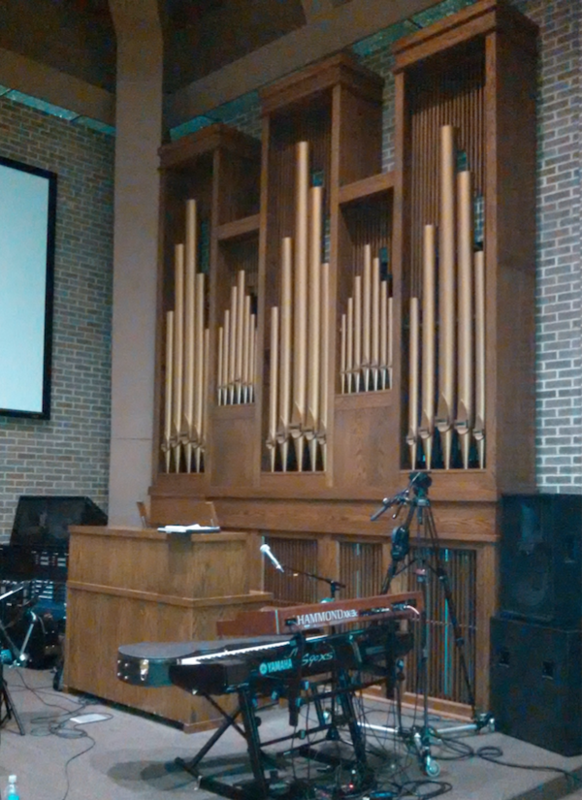 Schlicker organ at Church of the Nativity, Timonium, MD. Manuel Rosales, our organ builder, apprenticed with Schlicker when he was starting in the pipe organ building business, so he was familiar with the style and excellent quality of materials that Schlicker used and it was clear that the organ would be a good resource to enlarge the All Saints’ church organ. Of particular interest was the console (the design is utilitarian and loved by organists for its comfort and ease of use) and the high quality pipework, as well as some of the windchests upon which the pipes rest. When we purchased the Schlicker organ, we knew we had no use for the façade and we knew that some of the largest Pedal Pipes would not fit in our chamber. Our contract for removal of the instrument required that we remove everything so we shipped it all to Manuel’s shop in California. 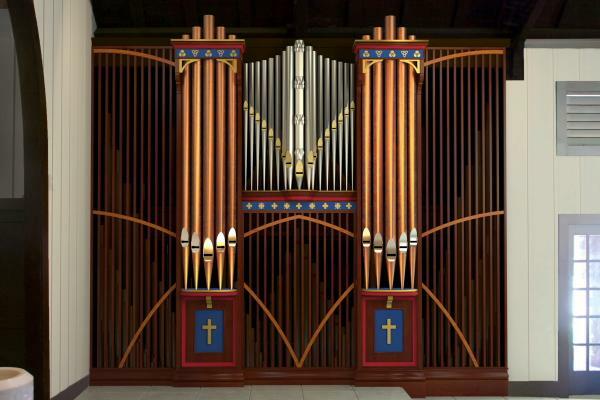 Manuel informed me this week that the entire façade (pipes and woodwork) from the Timonium Schlicker organ will be donated to St. Thomas of Canterbury Episcopal Church in Long Beach, CA. The façade was always known as a feature that All Saints’ Church could not use. St. Thomas will also receive a donation of the 16’-8’ octave (24 pipes) from the Pedal Principal, also something that would not fit in our chamber. It makes me so happy that this façade will be used for the glory of God in another Episcopal church. How wonderful that we saved an instrument destined for the dump and it will now provide service to 2 Episcopal churches. Our organ story just grew significantly and we have been able to add “outreach in Long Beach” to the list of things All Saints’ has accomplished since the organ project began. Not only that, but the organ at St. Thomas of Canterbury church has significant history and it is wonderful that we can help make it look “pretty”. The Animal Balance Spay Pod has moved! On April 1 st , the Spay Pod relocated to a new home at Kealia Farm, 2345 Kealia Rd, Kapa`a. The Spay Pod is a semi-mobile trailer that has been outfitted to serve as a spay/neuter surgery clinic. At full capacity, the Spay Pod can serve between 30-40 cats per day. The Spay Pod will continue to be open to the public two days per week (Mon. Wed. or Fri. with the schedule varying weekly) to provide lifesaving sterilization surgeries for both owned and community cats. All proceeds collected from surgery will be used to directly support and sustain the Spay Pod. To make an appointment, email spaypod@animalbalance.org or call (808) 650-2720. 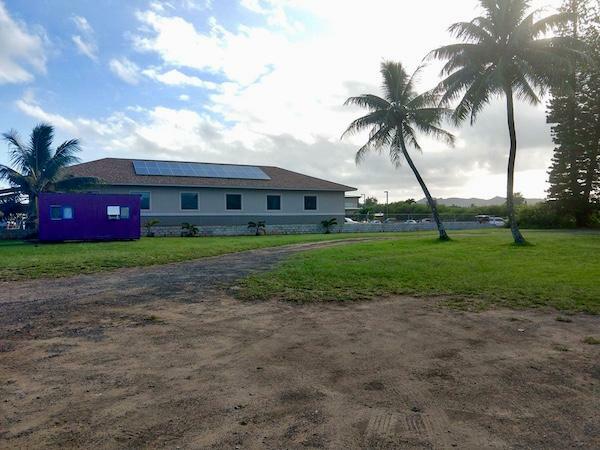 On behalf of the Spay Pod and Animal Balance team, we would like to extend a heartfelt Mahalo to All Saints’ Episcopal Church in Kapa`a for the generous donation of their property to house the Spay Pod for the first three months of operation. With their support, the Spay Pod team has already sterilized more than 600 cats, making an immediate positive impact on the lives of cats (and the humans that care for them) on Kaua`i. All Saints’ will always be part of the Animal Balance ohana. 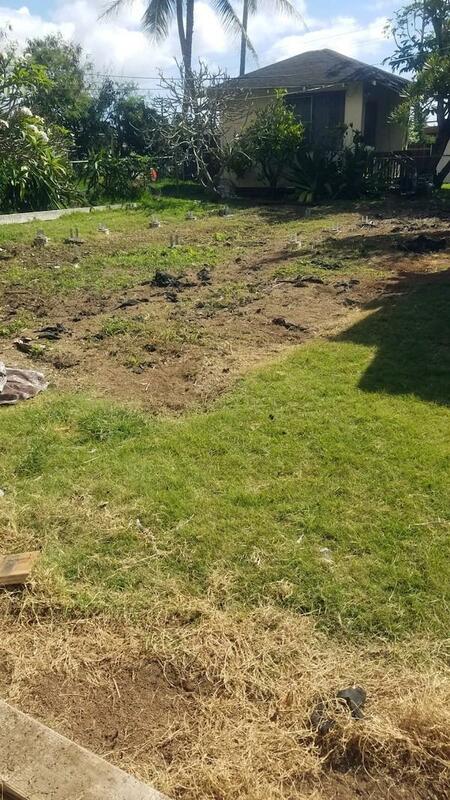 We would also like to thank Kaua`i Community Cat Project for supporting this work and helping to humanely control the free-roaming cat population on the island. With their partnership, we are working to provide community-based sterilization to cat colonies around Kaua`i and, consequently, reduce the euthanasia rate of cats at the local animal shelter. Animal Balance has been partnering with local organizations on Kaua`i since 2015. Three high volume MASH (mobile animal sterilization hospital) campaigns have been held, targeting both dogs and cats, to assist the community with humanely managing their populations, while also helping protect the island’s most at risk species. The Spay Pod builds on the foundation of support that these campaigns developed, utilizing local volunteers to assist the staff of one veterinarian and one veterinary technician, who are highly trained in high volume spay/neuter procedures. For more detailed information about Animal Balance’s work on the Hawaiian Islands, please go to: https://www.animalbalance.org/trapped-in-paradise . Animal Balance is a global non-profit organization, dedicated to creating positive change on islands around the world. With the help of our local partners, we create community-based population management programs for dogs and cats. If you would like to contact us for more information or to set up an interview, email Elsa Kohlbus at ekohlbus@animalbalance.org . 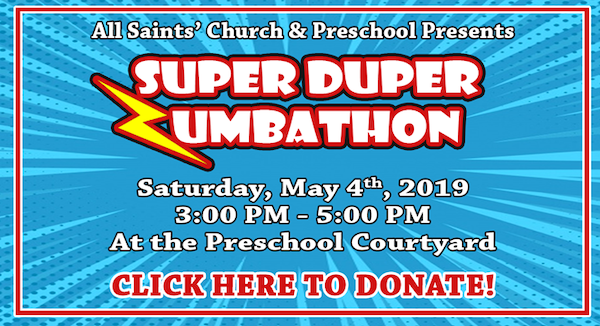 This year's All Saints' Preschool Scholarship Fundraiser is "SUPER DUPER ZUMBATON". All donation proceeds go to qualifying families of All Saints' Preschool so their children may afford quality education and care. Preschool families have a chance to win prizes for collecting the most donations, so if you have a student you’d like to sponsor, please be sure to write their name in your donation. All preschool families and friends are welcome to join us for the Zumbathon event. If you would like to make a donation to the Scholarship Fund, you can visit the preschool website and donate online at http://www.allsaintskauaipreschool.org/giving.html . At supper, Jesus commands his disciples to serve rather than want to be served, and predicts that Peter will deny knowing him. Then he goes to the Mount of Olives to pray. After a night of hard prayer, Judas arrives and approaches Jesus, and betrays him to the authorities, who then arrest Jesus and take him away for trial. 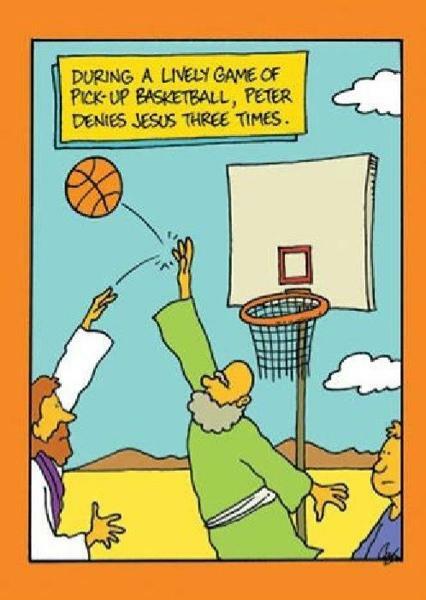 As Jesus had foretold, Peter denies knowing Jesus. 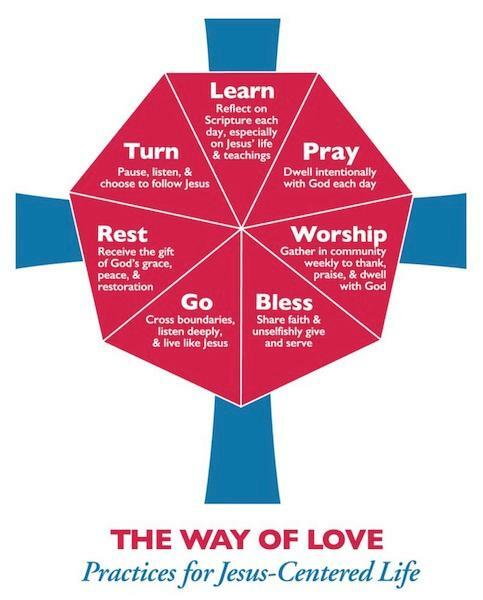 ﻿Drawing on the ancient practice of setting aside Lent as a period of study and preparation for living as a Christian disciple, we are pleased to present weekly teachings from Life Transformed: The Way of Love in Lent . Learn more at episcopalchurch.org/life-transformed . One of the most dramatic elements of WORSHIP in the Easter Vigil is the element of surprise and delight baked into the liturgy. We start in darkness and subdued energy only to have a burst of worship-filled energy when we get to the ultimate song of worship: the Gloria! When we arrive at the Gloria, we throw on the lights, ring bells, sing at our loudest, and may even have a gleeful asperging (sprinkling of holy water as a reminder of our baptism). We are celebrating the greatest surprise of all: the resurrection of Jesus, which put an end to death. This drama is an invitation to let our hearts be moved from fear and despair into gratitude and joy. In this final oracle from Zephaniah, we hear a distinct call to worship that follows the same dramatic arc that we find in the Easter Vigil. God has come. It is a time for celebrate. We are told to “Sing aloud, O daughter Zion; shout, O Israel! Rejoice and exult with all your heart, O daughter Jerusalem! The Lord has taken away the judgments against you.... On that day it shall be said to Jerusalem: Do not fear, O Zion ... he will rejoice over you with gladness, he will renew you in his love.” Here we see that God intends to turn all our fear into rejoicing, which means our worship should well up as an overwhelming act of gratitude. In Jesus, the prophecy of Zephaniah is fulfilled. 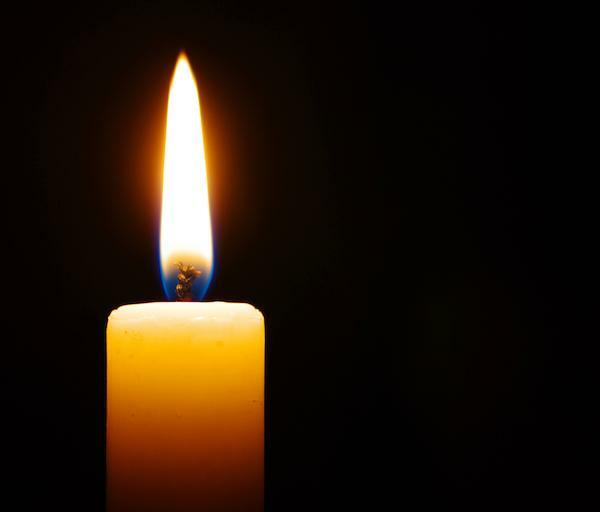 From the very moment he was born, the angels cried out to say “fear not” before breaking into their own Gloria song, mirroring ours during the Easter Vigil. In response to this wonderful gift from God, the shepherds ran to his stable to worship the newborn King of Peace. As their fears subsided, their gratitude naturally flowed. Yet, by the time Jesus’ life is ending, when faced with the possibility of following him to the cross, the disciples are once again filled with fear. When they are reunited with the resurrected Jesus, the doors of a new future are flung open and they return to a stance of gratitude and worship. Their fear of eternal death, as well as our own, has been buried in the empty tomb. 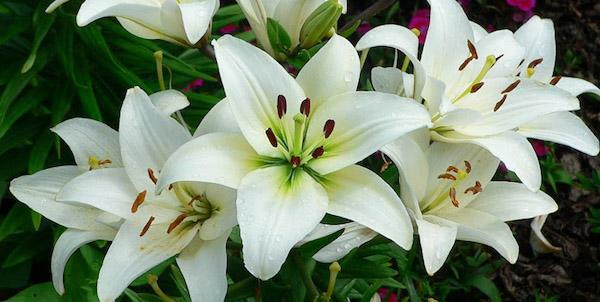 We are invited to rejoice and let our gratitude for the gift of new life draw us to worship God. REFLECT: In our reading this week, we are called let go of our fears so that we might truly worship God. What brings you the most joy in your life? Can that joy be offered up to God as an act of worship? Join the Rev. 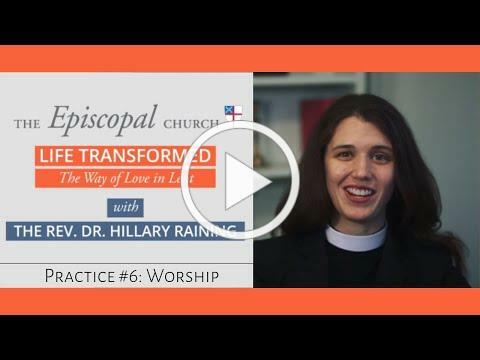 Dr. Hillary Raining, rector of St. Christopher’s Episcopal Church in Gladwyne, Penn., as she introduces weekly lessons from Life Transformed: The Way of Love in Lent. 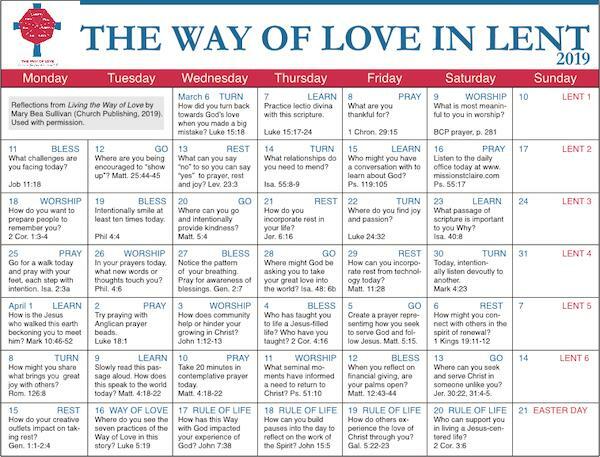 To download your own copy of the Way of Love in Lent Calendar , please follow the link below. Bishop is one of the three orders of ordained ministers in the church, bishops are charged with the apostolic work of leading, supervising, and uniting the church. Bishops represent Christ and his church, and they are called to provide Christian vision and leadership for their dioceses. The Book of Common Prayer (p. 855) notes that the bishop is "to act in Christ's name for the reconciliation of the world and the building up of the church; and to ordain others to continue Christ's ministry." Bishops stand in the apostolic succession, maintaining continuity in the present with the ministry of the Apostles. Bishops serve as chief pastors of the church, exercising a ministry of oversight and supervision. Diocesan bishops hold jurisdiction in their dioceses, with particular responsibility for the doctrine, discipline, and worship of the church. Bishops serve as the focus for diocesan unity and for the unity of their dioceses with the wider church. Since the bishop's ministry is a ministry of oversight, the term "episcopal" (derived from the Greek episcopos, "overseer") is applied to matters pertaining to bishops. An "episcopal" church is a church governed by bishops, and "episcopal" services are led by bishops. 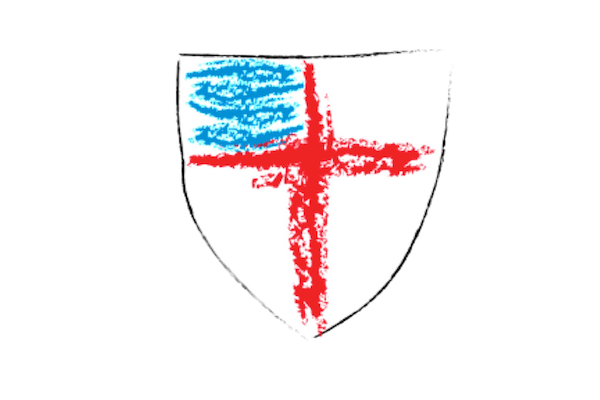 Episcopal services in the Book of Common Prayer include the services for the Ordination and Consecration of Bishops, Ordination of Priests, Ordination of Deacons, the Celebration of a New Ministry, and the Consecration of a Church or Chapel. Bishops also preside at services of Confirmation, Reception, or Reaffirmation. Bishops bless altars and fonts, and the blessing of chalices and patens and church bells are traditionally reserved for the bishop. In the Episcopal Church, diocesan and suffragan bishops are elected by Diocesan Convention. Bishops-elect are ordained and consecrated after consents have been received from a majority of the diocesan standing committees and from a majority of the bishops exercising jurisdiction in the Episcopal Church. If the episcopal election takes place within three months before General Convention, the consent of the House of Deputies is required instead of a majority of the standing committees. 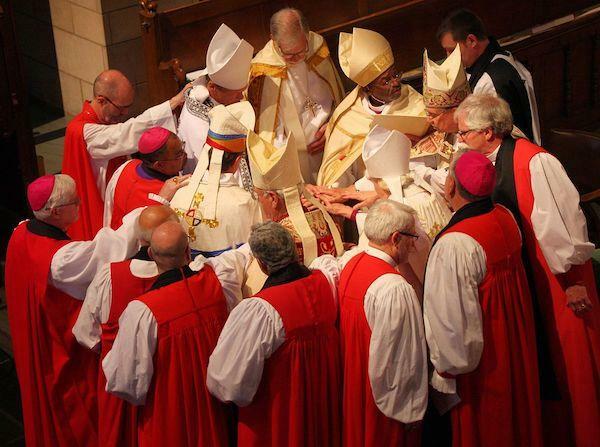 Three bishops are required to participate in the ordination and consecration of a bishop. Diocesan bishops may be succeeded by bishops-coadjutor upon resignation of diocesan jurisdiction. Diocesan bishops may also be assisted by suffragan and assistant bishops, who have no right of succession upon the resignation of the diocesan bishop. The preceding definition came from an Episcopal Dictionary of the Church and can be found here . 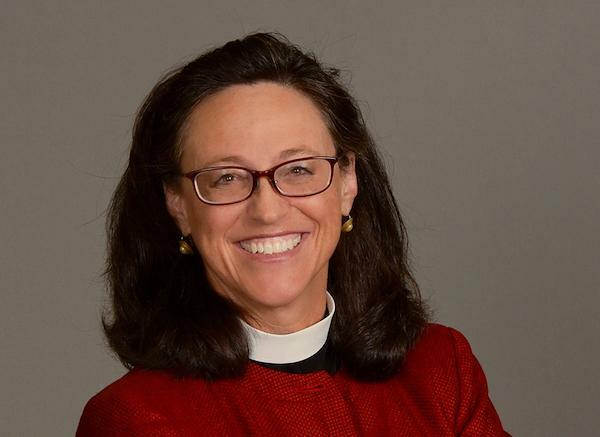 [April 11, 2019] The Episcopal Diocese of Northern California has received notification from Presiding Bishop and Primate Michael B. Curry and registrar of General Convention, the Rev. Canon Michael Barlowe, that Bishop-Elect Megan Traquair has received the required majority of consents in the canonical consent process detailed in Canon III.11.3. In giving consent to her ordination and consecration, Standing Committees and bishops with jurisdiction attest to knowing of “no impediment on account of which” Bishop-Elect Traquair ought not to be ordained as bishop, and that her election was conducted in accordance with the Canons. The Rev. Canon Megan Traquair was elected Bishop on February 9 th . 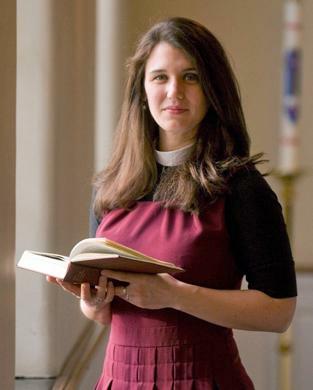 Presiding Bishop Curry will officiate at her June 29 th ordination and consecration service. 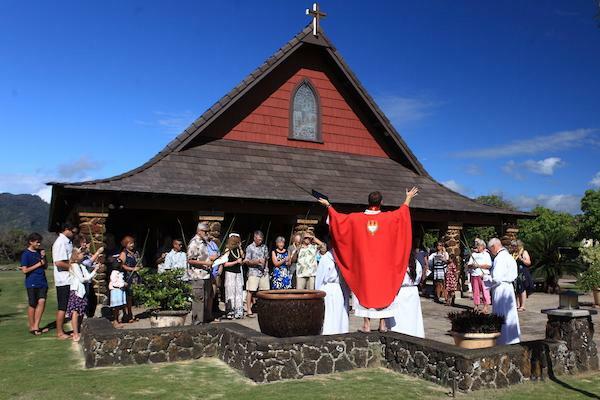 All Saints' Vestry encourages all youth to take advantage of this opportunity to attend the Inaugural YOUTH DAY at Camp Mokule`ia on the North Shore of O`ahu. All members of the Ke Akua Youth Group are eligible for these scholarships which will not only cover the registration but also roundtrip airfare from Lihue to Honolulu . If you are interested, contact Cami to make arrangements. 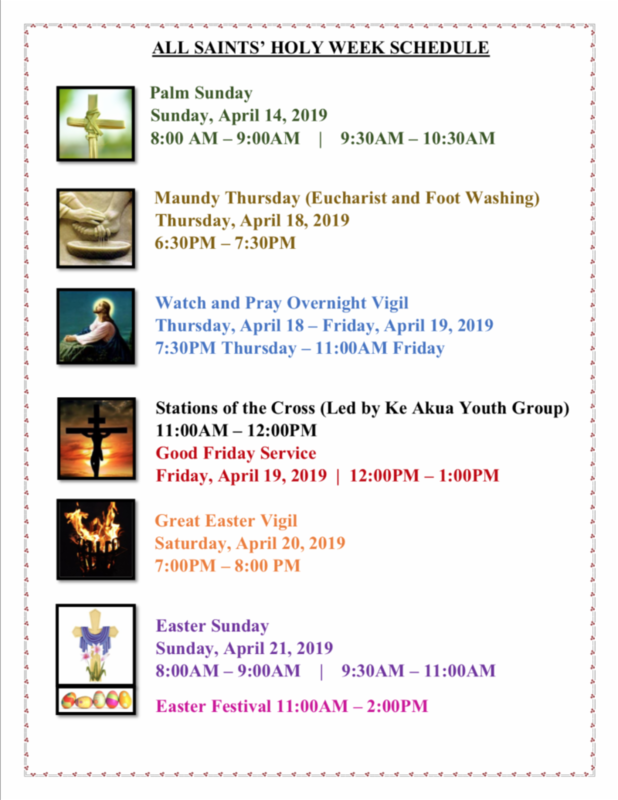 The Episcopal Diocese of Hawai`i is excited to announce the first inaugural YOUTH DAY on Saturday, April 27, 2019, from 10:00AM - 5:00PM (registration begins at 9:00AM). Youth day is for students in grades 6-12, and will feature guest speaker and worship leader, Easton Davis . Youth will enjoy a full day of worship, lunch, zipline, games, kayaking, paddle boarding and swimming in the pool! Cost is only $10. For more information, download the flyer HERE , or visit their website HERE and register today! Place your donations in the red wagon by the door to the sanctuary on Sundays. 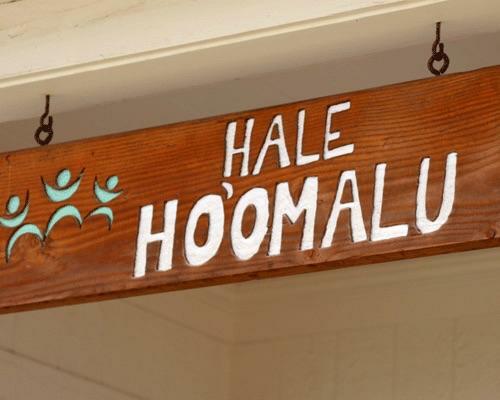 Hale Ho`omalu also needs and appreciates monetary donations as well as gift-in-kind items. 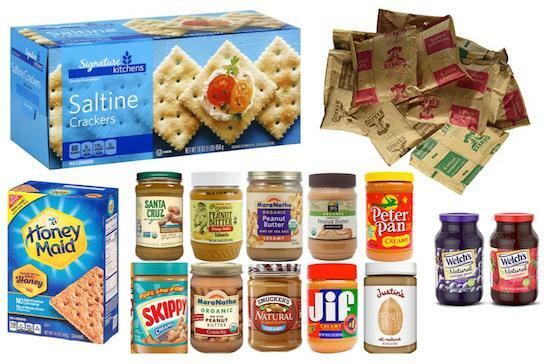 Please note, we do not accept food items that are not mentioned on the monthly list and we do not accept clothing, toys or similar items unless a specific plea for such items is published in the Epistle. Your Epistle Staff will inform you of any special requests for donations. 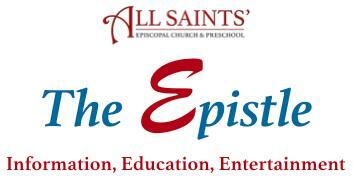 ﻿Please submit your story ideas to the Epistle Staff at epistle@allsaintskauai.org. Donations to purchase materials for the kāhili can be to the church office. Contact Carolyn Morinishi, Ron Morinishi or CeCe Caldwell for more information. Do you have a good ear? Do you like fancy toys? Do we have a job for you! For more information go to Laundry Love Kaua`i or contact Geoff Shields at gshields2334@gmail.com or Bill Caldwell at billcaldwell4@me.com. Whenever you have a need for support, please call (650) 691-8104 and leave a voice mail. The system will immediately forward the information to the Pastoral Care Committee who will respond to each request. If you prefer, you may send an electronic pastoral care request via email to pastoralcare@allsaintskauai.org. Individuals who want to participate in the Prayer Chain Ministry must re-enroll to continue receiving the email communications . To re-enroll, please visit the newly established Pastoral Care web page or contact the Church Office at ( 808) 822-4267 . Prayer requests will now be submitted online or by contacting the Church Office at (808) 822-4267 . Names can be added to the Prayers of the People petitions by using the Prayer Chain Request form or by contacting the Church Office at (808) 822-4267 . Names will remain in the Prayers of the People for a maximum of four Sundays before a name must be resubmitted. All Saints' Eucharistic Visitors are available each Sunday (pending availability) to bring Communion to those who are sick or shut-in. Requests for a Eucharistic visitation can be made by calling the Church Office at (808) 822-4267 or emailing homecommunion@allsaintskauai.org.